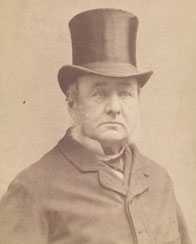 His father, George Charles Henry Hitchings, (1821–1897) was also a doctor. Robert’s father George Charles Henry Hitchings had a medical practice in St Aldate’s Street, where he was still listed in a directory of 1852. He married his first wife, Caroline Martha Eaton, at St Giles-in-the-Fields in the second quarter of 1846, and they had six children: the first two, Edward (1848) and Rose (1849), were baptised at St Aldate’s Church, suggesting they lived over the surgery. By about 1850 George and his family had moved to a private house in Oriel Street, hence their next four children were baptised at St Mary-the-Virgin Church: Catherine (1850), Elizabeth (1854), Henry (1855, died aged one day), and Alice (1856). Their mother Caroline died in Oxford in 1857 (death registered fourth quarter). Less than a year later, on 23 August 1858 in the Scarborough area, George married his second wife Louisa Lacy, who was the widow of Henry Charles Lacy, Esq., and daughter of the late Rev. Robert Brown, Vicar of North Aston). Their first two children were also baptised at St Mary the Virgin Church: Ethel Ada (1859), and Louisa (1861). Robert’s father George probably had wealthy patients up in Headington (as indeed had his grandfather in 1818, when he paid regular visits to Headington House). Ordinary Headington people had to walk down to Holywell to fetch Dr Hitchings senior in an emergency until the twentieth century. By 1861 George had a country house at the top of Headington Hill, and the census of that year implies that his family split itself variously across the two homes. 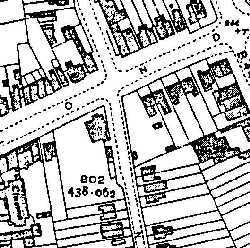 On census night, down in Oriel Street were George (39) and his second wife Louisa (37) with Edward (13), a scholar chorister from the first marriage, and Ethel (1) and Louisa (4 weeks) from the second, plus four servants. Up the hill in Headington, George’s unmarried sister Harriet (28), who was a governess, was looking after three of Robert’s four older half-siblings, Rose (12), Catherine (11), and Elizabeth (7). 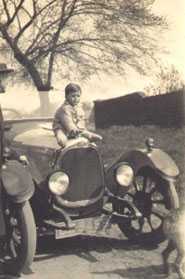 Robert Hitchings, the youngest son of George Hitchings, was born at his father’s country house in Headington on 28 December 1863 and baptised at St Andrew’s Church there on 3 April 1864. His birth was announced in Jackson's Oxford Journal. In 1871 the whole family spent census night at 37 Holywell Street, where the medical practice of Robert’s father was now based. George (49) and Louisa (47) were there with the four children from the first marriage – Edmund (23), Rose (22), Catherine (22) , and Elizabeth (17) – and the three from the second: Ada (11), and Louisa (10), and Robert (7). But the following year, on 26 April 1872, Rose was married at Headington, implying that the family still had its home in Headington and regarded it as their main private residence. By 1881, however, it looks as though they no longer have their Headington house, and Robert (17), described as a scholar, was living at 37 Holywell Street with his parents and his four unmarried sisters: his half-sisters Catherine (31) and Elizabeth (28), and his full sisters Ethel Ada (21) and Louisa (20). Robert qualified as a surgeon at the University of Edinburgh, passing his examination in anatomy and physiology on 8 July 1884 and admitted a member of the Royal College of Surgeons of England on 27 July 1886. Robert’s father George is listed in Kelly’s Directory for 1890 as the Medical Officer and Public Vaccinator for Headington and Wheatley and as the medical officer for the workhouse. On 26 March 1892 Robert’s mother Louisa died at their house in Holywell Street at the age of 67. In June 1892 in the Peterborough registration district Robert Hitchings married Millie Evelyn Herbert (whose first name is sometimes recorded as Mildred): she was born ... on 10 September 1870. They settled in Headington at Hill View, a brand-new house in Windmill Road. Their only child Evelyn May Herbert Hitchings (known as May) was born there on 16 May 1893, and baptised at St Andrew’s Church on 12 June. Revd Scott-Tucker, Vicar of St Andrew’s Church, playing for Headington United Cricket Club, and the following year, on 30 June 1894 it was reported that “Dr Hitchings was again in brilliant form, and is quite the mainstay of the Headington team”. The cricket season being over, Mr Hitchings, with his customary energy and zeal for the young men of the parish, has inaugurated a football club. Hitchings took part in the early games himself, scoring a goal on 13 January 1894 when the Headington team beat Victoria. Robert’s father George died at 37 Holywell Street at the age of 75 on 21 May 1897, and it appears that Robert Hitchings not only kept on the practice there, but moved back down to the house for about ten years. He spent census night in 1901 there with his wife and 7-year-old daughter and three servants (a governess, housemaid, and cook). 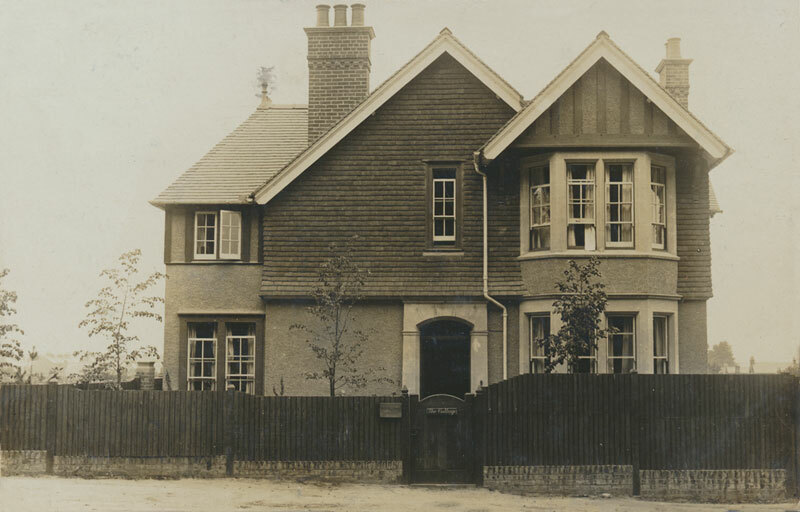 In 1908 Dr Hitchings built a house on the London Road (on the western corner of the present Kennett Road). It was called “The Cottage”, but in fact it was a large house with an extensive garden, as the 1939 map on the left shows: the tennis court stretched down as far as the present Sainsbury’s, and there were stables where the parking area for the shops is now. Also at the back were a waiting room, three surgery rooms, and a dispensary. The 1911 census shows Hitchings and his wife living there with two servants. Below: Postcard of Dr Hitchings's house at 104 London Road postmarked 1908. The signs read “Mr. R. Hitchings, Surgeon” and “The Cottage”. Alec Hansford looked after the garden and horses, acted as chauffeur, and also delivered medicines to patients on foot. 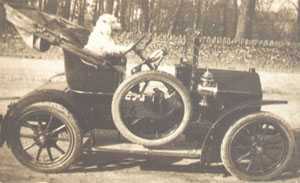 Dr Hitchings initially used a bicycle (which was well known for its striped saddle cover) as well as a horse to get around, but in 1907 got his first car, a Darracq. His practice also covered Cowley, where he had arrangements to hold a surgery at 45 (then 18) Temple Road: he was the only GP in Cowley until 1922. As well as encouraging local football, Robert Hitchings wrote and produced plays for the Headington Drama Club, and his hobby was woodwork. During the depression his wife used to deliver coal to local people. On 28 October 1919 his daughter Evelyn Hitchings (26) married Henry Leslie Aldersley Swann (23) an engineer, at St Andrew’s Church in Old Headington . Dr Charles McCay joined Dr Hitchings’a practice in 1922, followed by Dr Terry in 1925, and Dr Arnott in 1930, the year that Dr Hitchings retired to a house in Abberbury Road in Iffley (although he went on being vaccinator for Headington until 1938). Dr Arnott bought his former house, and continued the practice with Drs McCay and Firth, with Drs Anderson, Campbell, and Wells joining later. By the time of the 1939 Register Robert Hitchings and his wife Millie were living at 12 Stanley Road in east Oxford with their housemaid. 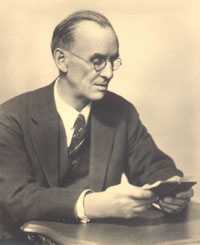 Robert Hitchings died at 12 Stanley Road at the age of 80 on 8 December 1943. His effects came to £6,878 11s. 7d., and his executors were his wife and daughter Evelyn Swann. When the NHS started in 1948, Hitchings’s old practice moved its surgery to the Manor Buildings, upstairs over Gardiner’s optician on the corner of Osler Road, and became known as the Manor Surgery. This later moved into the grounds of the John Radcliffe Hospital, retaining its name. Mr Hitchings's house at 104 London Road was demolished in 1961 to make way for the block of shops from the present Up & Running to Sainsbury's, and the car park behind. Dr Charles McKay) and Michael Swann, the son of Dr Robert Hitchings’ only daughter Evelyn May.